I've enhanced a bit shadowmaps: Raydium was used to render the shadowmap over the whole ground, so resulting shadows were very inaccurate with grounds like cocorobix.tri (and it's not the biggest one). The new shadow mode now only renders shadows around the camera, using pixels of the shadowmap in a much more effective way. 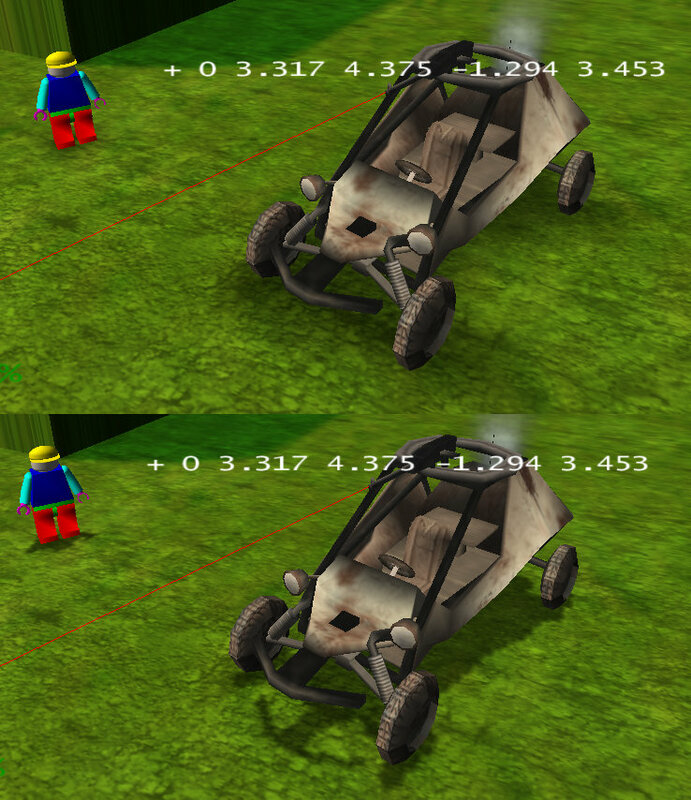 Off course, objects/elements that are not close enough of the camera are not shadowed. Size of the bounding box can be changed with raydium_shadow_camerabox_size() and the old behavior is available at any time with "raydium_shadow_mode(RAYDIUM_SHADOW_MODE_FULLSCENE)" (you can use the console for all this).